As the Army pivots from the last 16 years of counterinsurgency-focused warfare against a technologically inferior enemy to peer- and near-peer threats, the service is being forced to drastically change many practices. One in particular: how soldiers operate mission command networks. In a future operating environment where the decision cycle will have to be much quicker, the Army now recognizes it has to get away from large forward-operating bases and tactical operations centers, sometimes pejoratively termed “TOC Mahals.” This also means consolidating communications and mission command programs and systems to provide commanders with a seamless look and feel of the battle space. 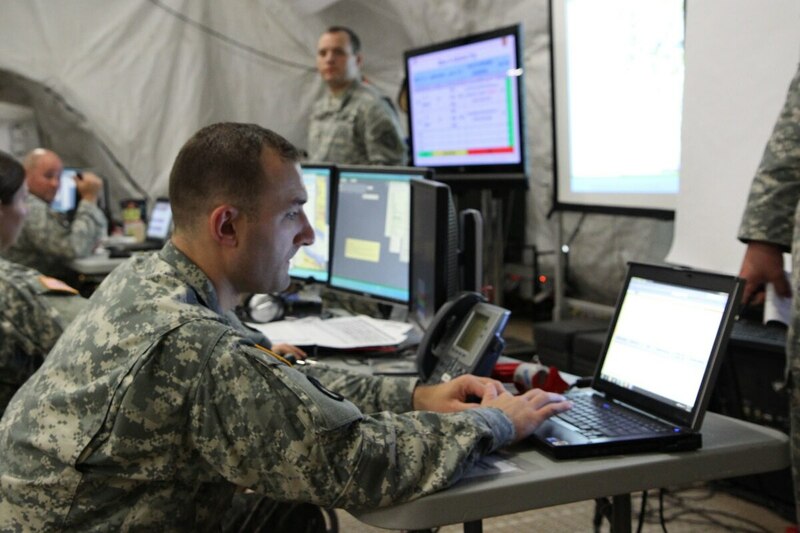 This is what is behind a major Army effort called the common operating environment, a set of computing technologies and standards to enable a variety of communications capabilities with common baselines. One specific effort within this larger push is called the Command Post Computing Environment, or CP CE. This will consolidate current mission systems and programs into a single user interface, breaking down stovepipes within a command post allowing commanders at various points – even from a mounted system in a vehicle in the field – to see the same map, features and uploads. Currently, a commander will have several different maps paired side by side, each running their own individual systems or tasks. These include programs such as Tactical Ground Reporting System (TIGR), Global Command and Control System-Army (GCCS-A), Command Web and Command Post of the Future (CPOF), to name a few. There are different screens and different user interfaces for each of these systems that each require their own separate training. This can potentially lead to command confusion as commanders must bounce between each screen in order to gain situational awareness of their battle space. CP CE will consolidate these systems into a single user interface overlaid on a single map, establishing each as a widget or icon on the side. TIGR, GCCS-A, Command Web and CPOF will be part of the first build effort within the CP CE interface and tested at the Network Integration Evaluation 18.2 in September 2018. The converging of these systems will render everything to a common look and feel. So, if a commander is in the command post and wants to get in a vehicle and move on, he will have instant familiarity, Gary Martin, program executive officer for C3T, said during a panel discussion in August. Maps will look the same, buttons will look the same and this will significantly reduce training, he added. Daiyaan said they are going to cut training time in half as each soldier will get their common baseline training for how to use the program. Then they’ll go on to their job-specific training after that, be it intelligence or fires. The consolidation of all these systems also means less equipment, easier sustainment and greater mobility. Daiyaan said this project will lead to a reduction in the weight of servers in the command post from 1,200 pounds to 300 pounds. With the reduction of 900 pounds, this will allow forces to be able to pick up and move more easily. Army leaders believe that in future operating environments against a peer threat, forces will have to move on an hourly basis as opposed to the stationary bases in Iraq and Afghanistan. The goal with this is to be network-ready – meaning powering up and receiving live feeds – in five minutes. Systematic Inc. is providing the backbone to allow CP CE to function through the company’s SitaWare product. SitaWare is an open architecture command and control system 15 years in the making that provides the customer the ability to customize their tactics, techniques and procedures and fighting within mission command. 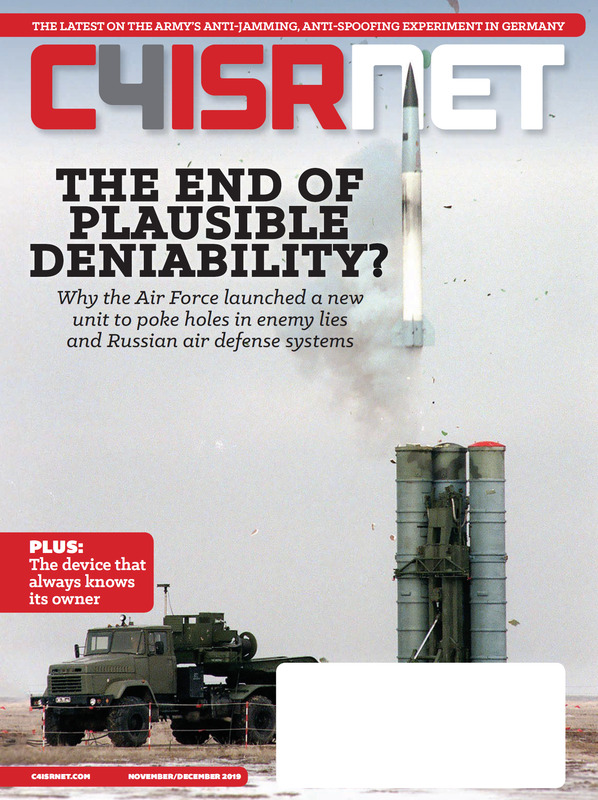 At the same time the system also is bringing in capabilities for the war fighter, whether that’s sensors or other battlefield-operated systems, Systematic President Rafael Torres told C4ISRNET. Torres equated the system to a Mr. Potato Head: the government decides what arm they want to use today. If they want to have a red hat and change it to blue, that’s something they do within their organizations because Systematic provides them with the software development kit. Given that it’s radio-, network- and hardware-agnostic, Torres said, it reduces size and footprint, giving the ability for commanders to customize how they want to see their fight. The common operating environment and CP CE, in some ways, is a corrective effort following the wars in Iraq and Afghanistan. Diayaan said the Army wants to get back to some older roots where these types of command posts and units get to collapse, move, shoot, drop, shoot, move and communicate. “In order to do so we’ve got to get lighter, faster, better. We’ve got to build smarter and more agile boxes and computing environments,” he said. During the Iraq War, the Army began to be more responsive to the war fighter – as it should, Diayaan said – giving the soldier the tools they required in the heat of battle. However, in giving the soldier everything they wanted, this precluded process and the Army ended up with all these tools that couldn’t talk to each other. “Now we’ve got all these individual systems, all [with] their own develop path, all with their different experiences,” he said. How this manifests itself: If a mission is being planned using CPOF, the orders, graphics and information cannot be transmitted to those who have to execute, given interoperability challenges. While the service had the “ah-ha” moment to fix these interoperability challenges prior to the draw down in Afghanistan in the 2013-2014 time frame, Bratcher said they couldn’t stop the engine to make all these changes without affecting ongoing operations. Following the draw down, TRADOC has been working to update the requirements and get them in shape, and now they’re in the approval process for the Army, he added. Then-Army Chief of Staff Gen. Ray Odierno asked TRADOC for a unified vision of the whole Army network and the mission command network, which resulted in a 2015 document that has served as the vision and narrative for the mission command network. That’s been driving the service forward in the last two to three years, Jeff Witsken, director of mission command network integration at the MC CoE, told C4ISRNET. This effort is a high priority for the Army, Witsken said. Diayaan noted that it is one of the line items of current Chief of Staff Gen. Mark Milley’s high-profile network review. That review is taking a top-down look at all networks for efficiencies and optimization, evaluating whether the Army is headed in the right direction. In fact, Witsken said that this past November they held a tabletop exercise in which the Army asked themselves what are the fundamental requirements needed from a mission command network perspective for future operations. They identified five critical operational requirements for guiding modernization of the network, and one of those was the common operating environment, he added. He noted that it’s not just about a common user experience, but also about integration and collaboration across echelons and formations. Army leaders believe they’ll need that to fight effectively in the future. It can’t be that those at the platoon level have a different solution than the command post, he said. “We go before the chief and our Army Requirements Oversight Council on the 29th of September for his decision to approve our final requirements,” Diayaan said. In terms of next steps for CP CE, the Army will create a report after operational tests in the fourth quarter of 2019 in which leaders will determine if it’s ready to field or if it has to go back for more testing and development. If they get a fielding decision, they’ll start fielding to units based on the Army’s priorities. However, it is much too early to determine what units those might be. Eventually, CP CE will be fielded to the entire Army. The Army will be looking to add two additional programs to the aforementioned four in fiscal 2021: Advanced Field Artillery Tactical Data System and Distributed Common Ground System-Army. These program offices have committed to integrating by 2021. Given the open architecture of CP CE, the Army wants to add many other systems eventually, such as the Electronic Warfare Planning and Management tool, which allows commanders to plan out and visualize effects of electronic warfare and cyber on the battlefield.